Arts and crafts is a popular course offering in Camp College every year. Tennis, anyone? 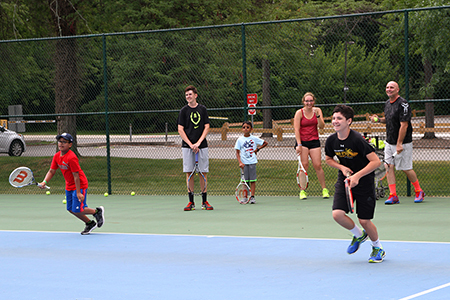 MCCC Sports Camps offer nine sports in one-week sessions. 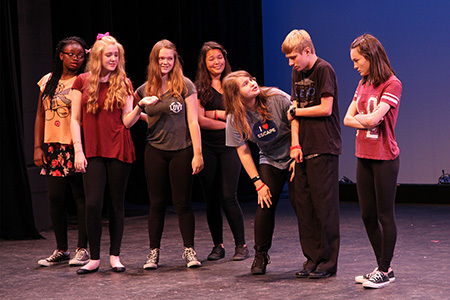 Jugglers perform at Camp College's 2016 Variety Show. In rehearsal for the 2016 Tomato Patch Festival of the Arts. A momentary break in MCCC's 2016 Speed, Agility and Quickness Camp! Science can be delightfully messy at Camp College. Abudanza! 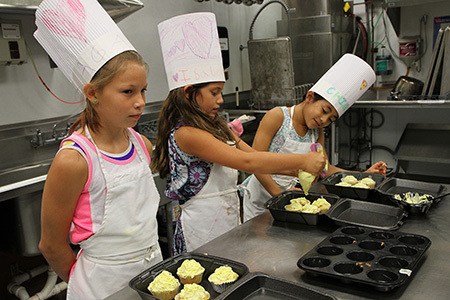 Kids in the Kitchen make delectable "meatball cupcakes." Sing it like you mean it! Vocal students rehearse in Tomato Patch. 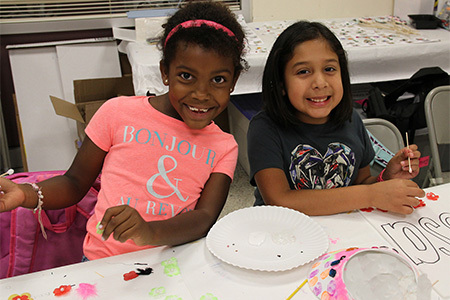 West Windsor, N.J. – From June 19 through August 18, Mercer County Community College (MCCC) will once again open its doors to children and teens ages 6 to 18 for a wide variety of camp programs that are designed to match the interests of just about every child. The camp schedule ranges from the full summer (nine weeks) to four-week, three-week and one-week sessions. Camp programs take place on the college’s West Windsor Campus, 1200 Old Trenton Road. MCCC youth camps include four main options. Camp College provides a design-your-own activity schedule with more than 60 “classes” to choose from for children ages 6 to 14 in four-week sessions. 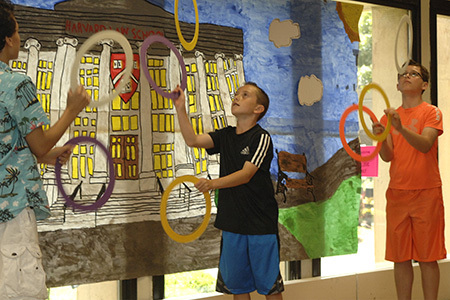 One-week Specialty Camps focus on specific topics such as science, computer technology, culinary arts and specialized recreational activities. 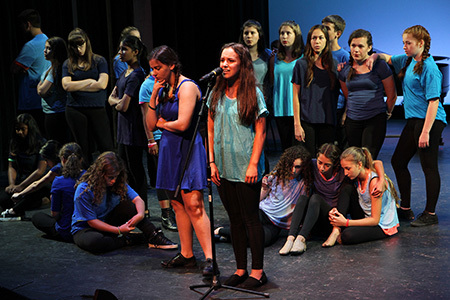 Tomato Patch Visual and Performing Arts Workshops are for young people interested in theater, dance, vocal music and art, with separate sessions for grades 8 to 12 and grades 5 to 7. Sports Camps include one-week programs in nine different sports for ages 6 to 14; most sessions are co-ed. Camp College has added to its already significant roster for 2017. New this year are woodworking, geocaching adventures and kitchen chemistry. 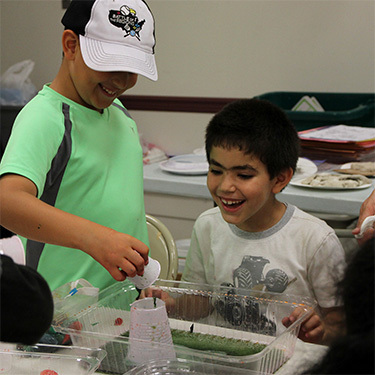 Among the Specialty Camps are new one-week programs in Toy Design: Make Your First Toy; Super Science STEM Challenges; Computer Programming with Ozobot; Ultimate Drone Games; Drone Exploration; Pop-Star Singing Camp; Virtual Reality: The Future is Now; and Wonderful Watercolors. A four-week academic program in Financial Literacy Prep will be offered for students entering grades 9 and 10. Sessions are from June 26 to July 21 and July 24 to August 18. Specialty camps run from June 19 to August 18. More information is available here. Tomato Patch will offer an array of concentrations and electives in stage combat, children’s theater, computer art, painting, drawing, jazz, musical theater, tap dance, cartooning and anime, hip hop, vocal ensemble, comedy, music video, and web video stage, and its highly popular stage makeup class first offered last season The first session is for students entering grades 8 to 12 from June 26 to July 20. The second session, for grades 5 to 7, is from July 24 to August 10. Both sessions conclude with an Evening of the Arts for family and friends. Master Class will be offered from July 24 to August 11 for students in grades 8 to 12 who have attended Tomato Patch or had other formal theater training. More information is available here. 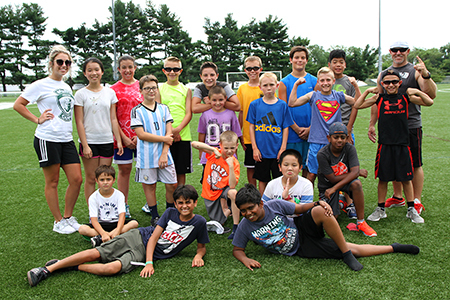 The college’s Athletics Department scores big in the summer season with Sports Camps designed to help youngsters build their skills in specific sports while enjoying friendly competition. All camps are staffed by college and high school coaches, as well as college athletes. Sports include: baseball; basketball; field hockey; golf, trail biking; soccer; volleyball and recreation; speed, quickness and agility; and tennis. A swim session is offered at the end of most days. More information is available here. Among camp amenities are the college’s full-service cafeteria, Olympic size swimming pool, athletic fields, theater, tennis courts, air-conditioned classrooms, computer labs, gymnasium and more. Pre- and after-camp care is available for working parents. Registration is now under way. Camp College will host information sessions on Saturday, March 11 and Saturday, April 29 from noon to 2 p.m. at the MCCC West Windsor Campus Conference Center. On-site registration is available.